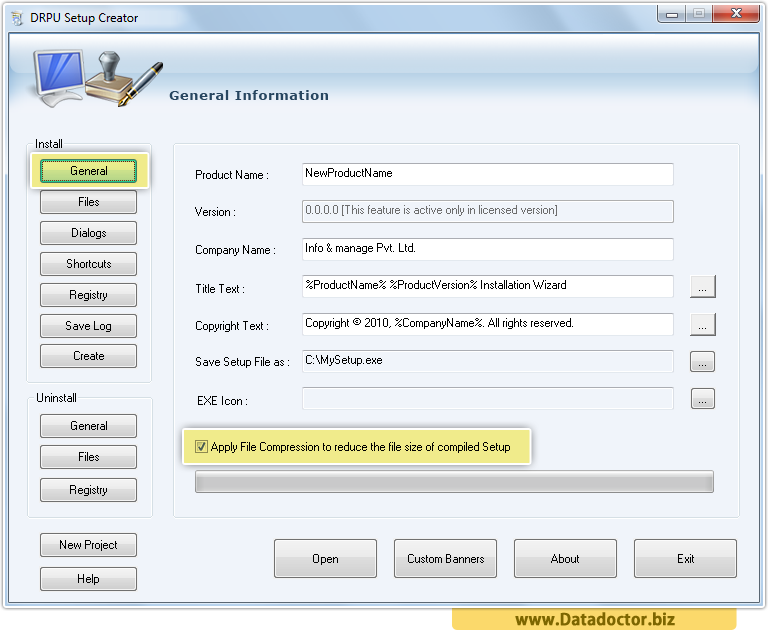 Order setup creator program to generate exe file setup for different Windows applications! 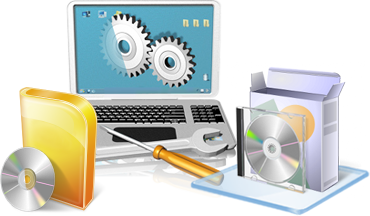 Setup maker software creates professional software setup in standard exe (executable) file format for your windows application. 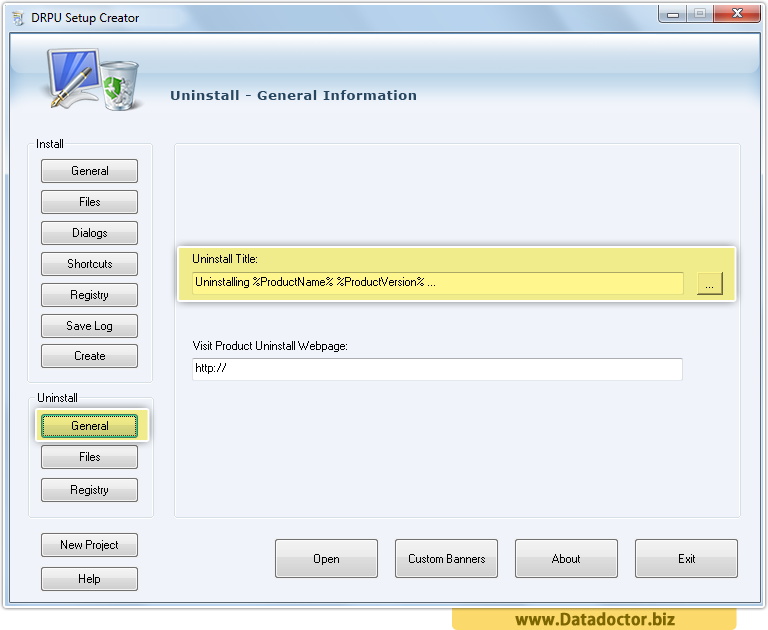 Setup install creator provides easy and faster way to generate small size setup package (exe files) that are easily saved or deployed over internet or other media. Setup builder allows developers to easily create self-extracting exe file setup without getting involved in complex scripting and coding techniques. 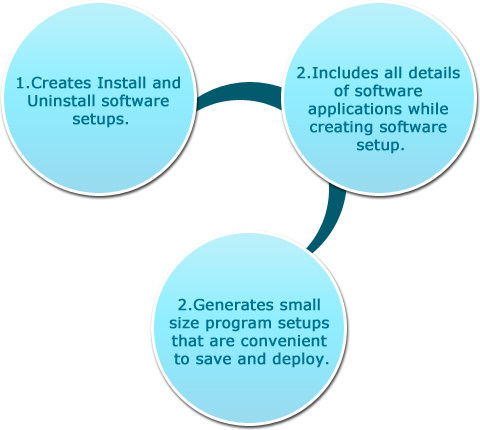 Generates both Installation/Un-installation setup wizards. 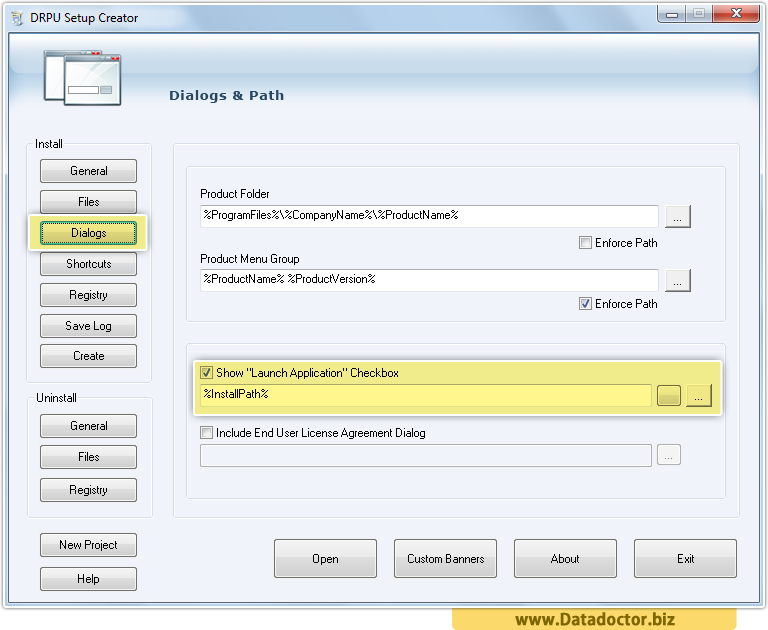 Here, specify path for your application. In above screen, specify product uninstall path and webpage.